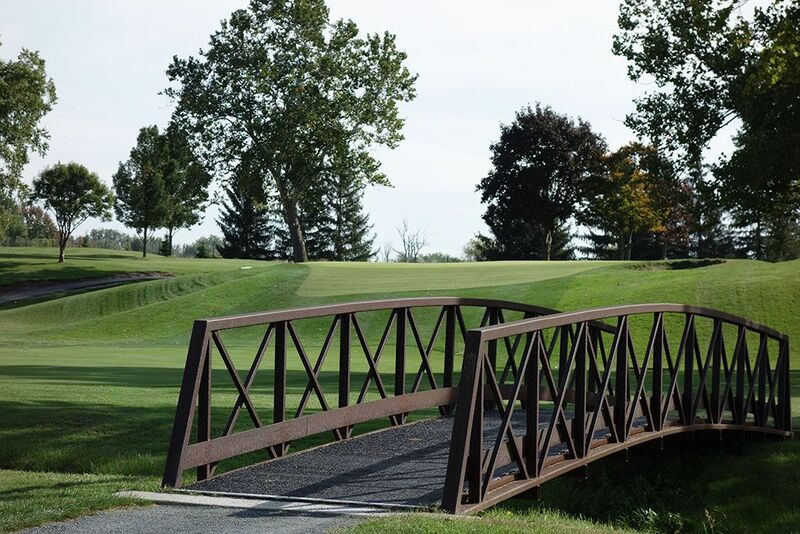 Course Website: Official Website - Visit Inverness Club's official website by clicking on the link provided. 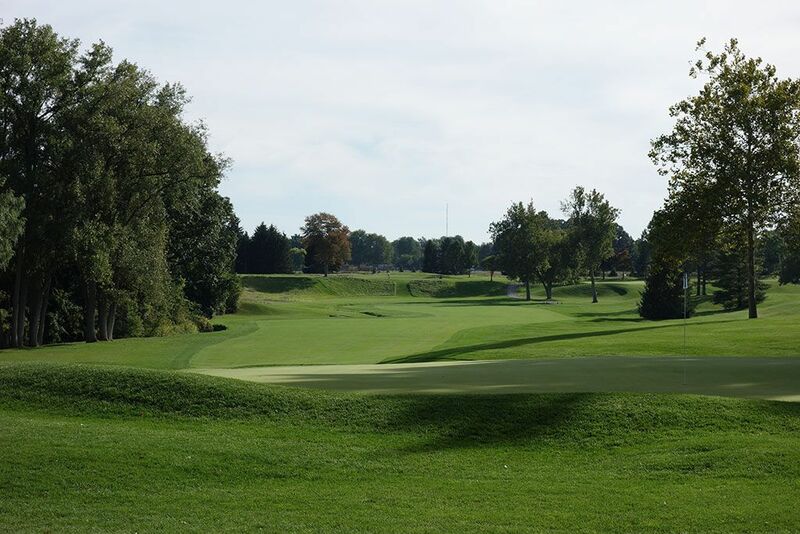 What to Expect: Few courses in the Midwest rival the history of golf found at the famed Inverness Club. 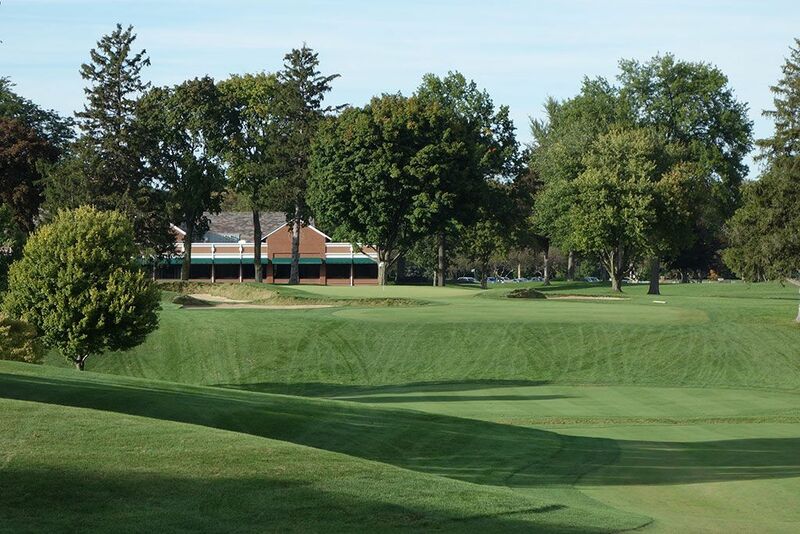 Host of major championships as early as 1920 and as recently as 2011, Inverness has for decades been regarded by the USGA as one of the finest tournament clubs in America. The expansive clubhouse is perfect for hosting hundreds of players and patrons with ample dining and locker room space. 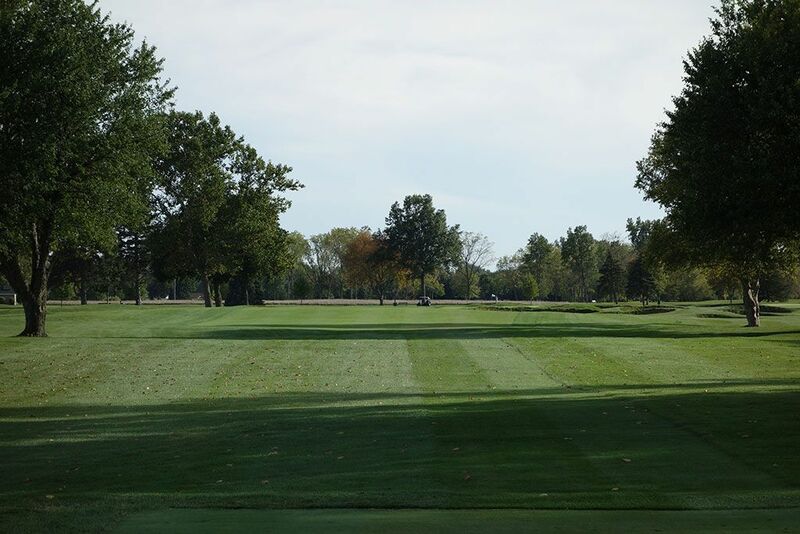 The intimate routing of the golf course allows for an easy walk and an ability to see multiple holes at once thanks to the numerous trees that have been thinned out. 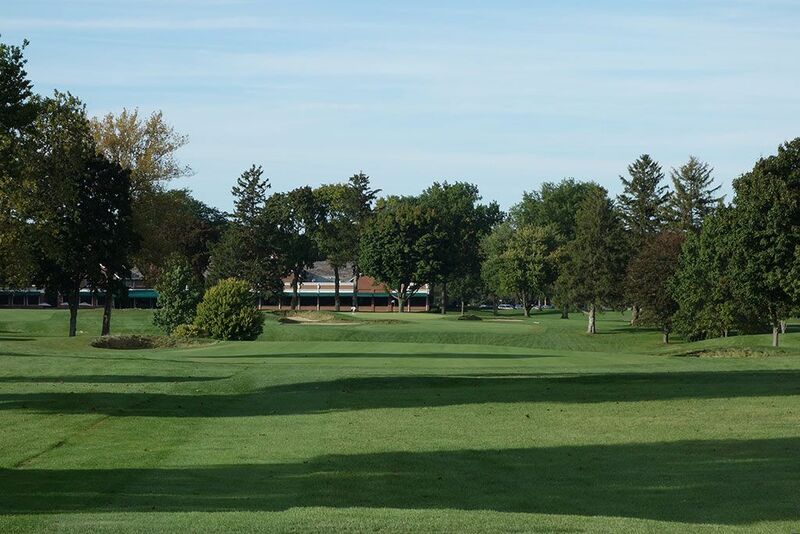 The property features gentle movement throughout the routing with holes 4-7 enjoying the most dramatic changes in terrain which uncoincidentally results in the best holes at Inverness. A recent renovation to the bunkers have added an eyebrow effect by raising the center lip and then tapering off to the edges. Some fescue features have been added at various spots as well, although the fescue seems out of place at this classic parkland layout. One of Inverness' most noticeable features is the size, or lack thereof, of the greens. These tiny targets will put your iron game to the test and are the real teeth behind the test at Inverness. A common and legitimate criticism of Inverness is how similar each nine begins with holes 1 and 10 followed by 2 and 11 share common characteristics as they run parallel to each other. Holes 4 and 7 are easily the best on the property though the closing holes are commendable as well. Caddies accompany groups on their round with players having the option of enjoying the experience walking or just taking a cart. I would be amiss to mention the impressive grandfather clock located in the clubhouse which was a collective gift from several professional golfers and orchestrated by Walter Hagen as a thank you for Inverness being the first club to allow players in the clubhouse during a tournament; the 1920 U.S. Open. This gift was presented in 1931 during the U.S. Open and commemorated the change in how professional golfers were viewed and treated thus effectively upgrading their status from second class citizens. The inscription on the clock reads, "God measures men by what they are, Not by what they in wealth possess, This vibrant message chimes afar, The voice of Inverness." Signature Hole: 18th Hole – 358 Yard Par 4 – Like The Olympic Club, Inverness is best known for its short par four finishing hole that is anything but easy. With a total of 11 high-lipped bunkers near the landing zone or around the green, it is a virtual desert to contend near the raised putting surface. The small, tilted green requires precision to conquer and will certainly test your nerves at the end of an important match or tournament. In 1986 Bob Tway famously holed out from the front greenside bunker on the 72nd hole to enjoy one of the most dramatic wins in major championship golf history; yet another major snatched from Greg Norman's grasp. Best Par 3: 12th Hole – 172 Yards – The flat 12th features bunkers circling the entire green except the very back which creates a virtual ring of fire around the putting surface. The green features a spine that runs vertically and divides the putting surface into a left and right half which can create some challenging putting situations when having to traverse the divide. 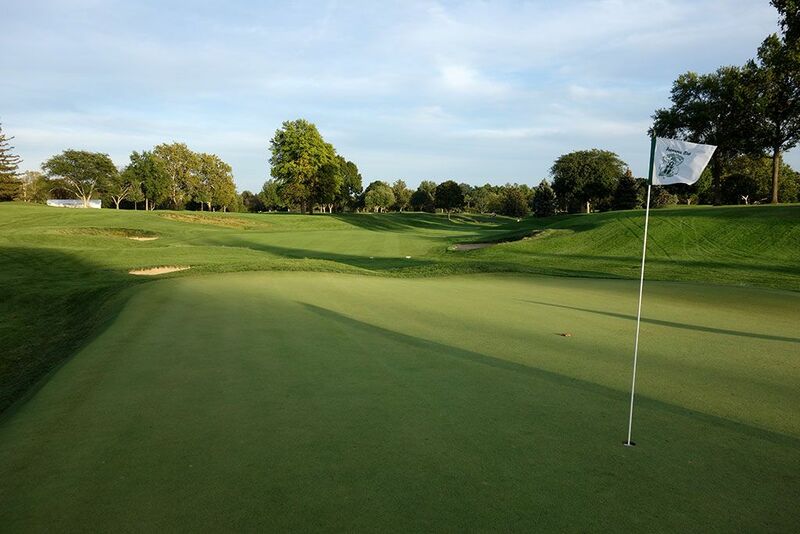 The par 3s aren't Inverness' strong suit but the 12th is a solid offering. Best Par 4: 4th Hole – 467 Yards – A flat out fantastic par four and along with the 7th constitutes two of the finest two-shotters in the country. Ross knew how hard this hole would be to reach in regulations without any obstacles which is why the minimal fairway bunkering is as much for aesthetics as anything. The approach shot to this green is perhaps the most exciting swing of the day as players attempt to send their ball over a creek to a raised green protected on the front right by a pot bunker. The green slopes from front right to back left which makes holding this green quite a challenge considering most players will have a long iron in their hand. 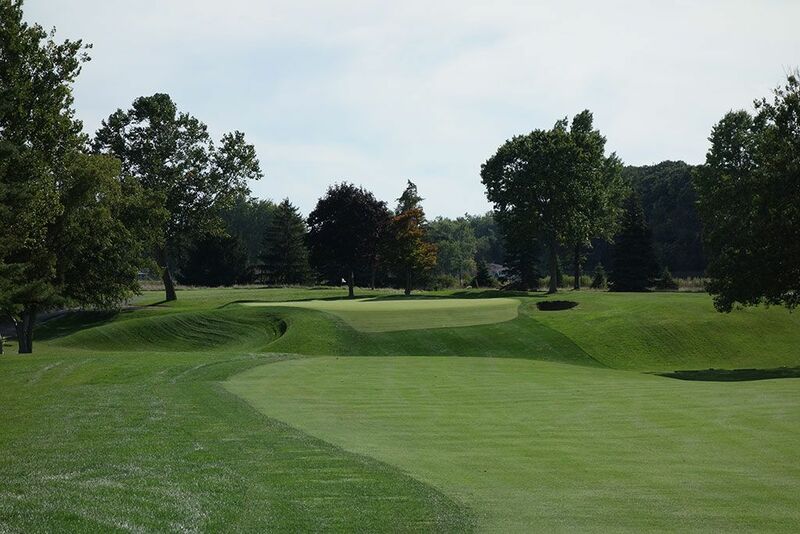 How an architect chooses to feature naturally moving terrain is an excellent indication of his skill and imagination and never has Donald Ross showcased those things better than right here. Best Par 5: 13th Hole – 517 Yards – This reachable par five enjoys some of the most alluring terrain on the property and can create some interesting lies and possibilities. While there aren't bunkers in the landing zone to contend with, the trick on the second shot will be hitting a crisp shot from one of the numerous uneven lies that often act as the platform to play from in the fairway. 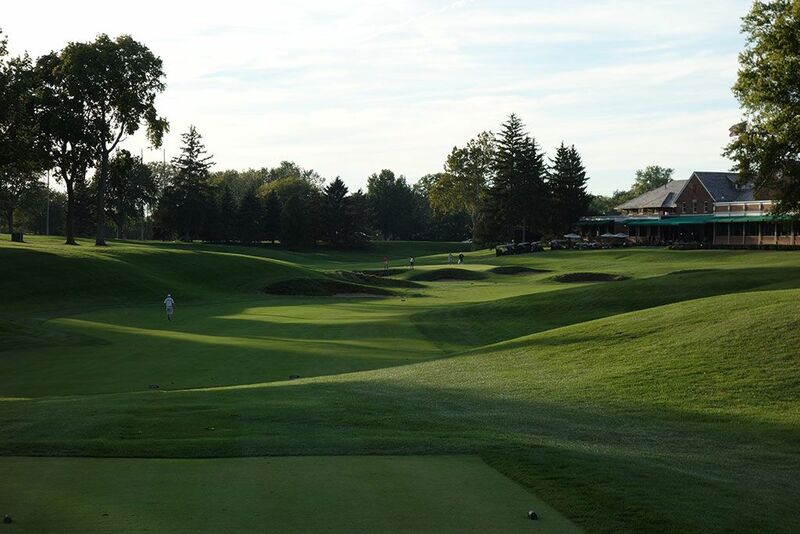 As players prepare for their second shot they must consider the creek that crosses the hole and the four bunkers surrounding the green that sits ten feet above the low spot of the fairway. 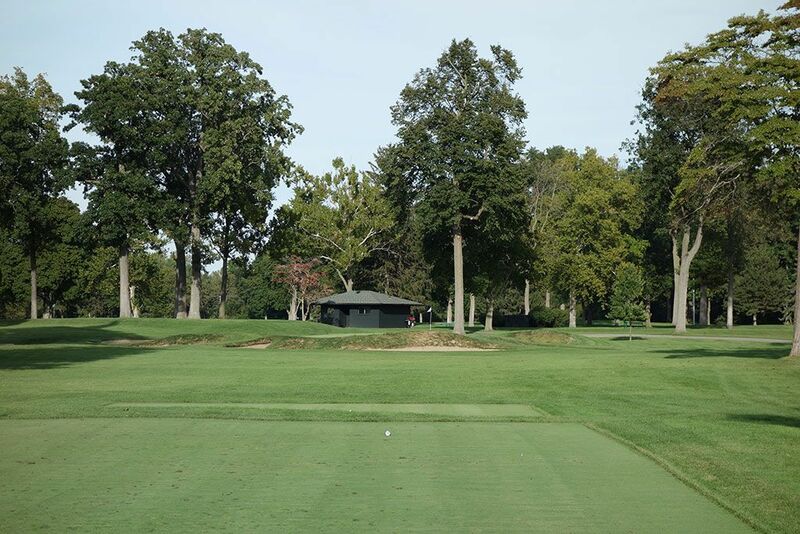 In addition to be an entertaining hole to play, the 13th represents one of the better scoring opportunities on the course. Birdie Time: 11th Hole – 377 Yard Par 4 – Inverness has an interesting distinction of featuring the opening three holes to each nine playing oddly similarly. 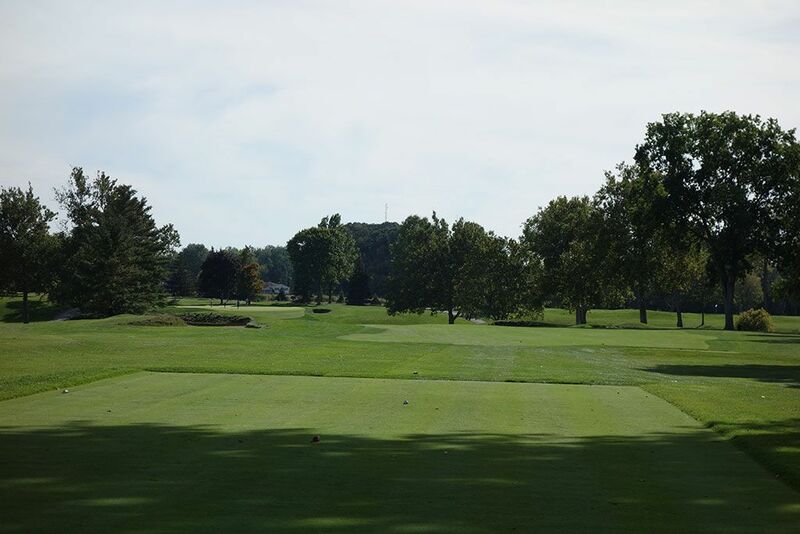 While the 2nd hole is a good birdie opportunity, the sister 11th hole plays a bit shorter and features a more welcoming entrance into the green. The deep green is receptive to a variety of golf shots while the bunker collection separating the 2nd and 11th holes pose as the biggest threat to preventing players from carding a birdie. With some stout holes ahead, now is the time to rip your driver and set up a short approach shot. 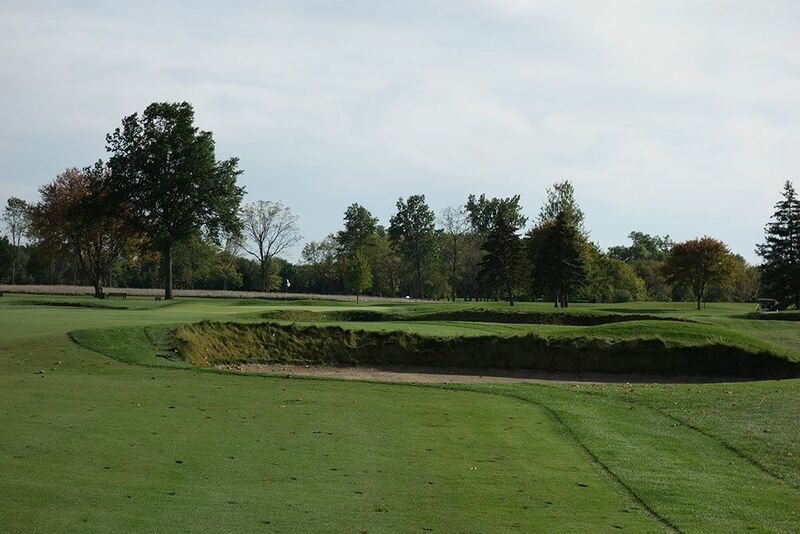 Bogey Beware: 7th Hole – 484 Yard Par 4 – When Donald Ross originally laid out the course this hole followed the 4th and boasted the distinction of having the finest back-to-back par 4s anywhere. In today's routing it concludes one of the finest four hole stretches in golf with the new 5th hole being a worthy addition along with the par three 6th. Not a single bunker is found on this nearly 500 yard brute that plays over a rolling fairway before climbing uphill to the greensite. 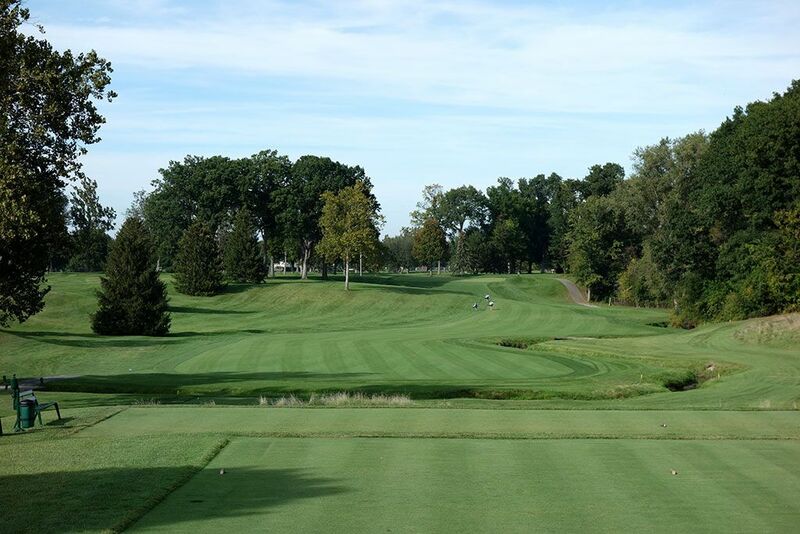 The meandering creek offers aesthetics to the hole and isn't a factor for players other than to catch the worst of tee shots. The concept of hybrid clubs was invented for taking on holes like this where the approach shot requires a long, high shot that can be played accurately from the fairway or rough. If two players in your foursome manage to hit this green in regulation, consider it a victory that virtually no other foursome on the course will enjoy that day.